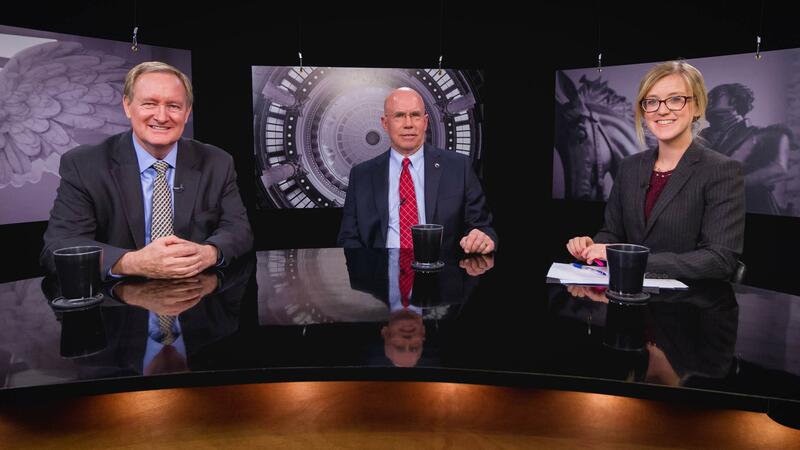 Fri., Oct. 14, 2016, 9:09 p.m.
You can watch the half-hour matchup between Idaho Sen. Mike Crapo and Democratic challenger Jerry Sturgill online here at the Idaho Public Television website. BOISE – Idaho Sen. Mike Crapo, who was among the first U.S. senators to disavow Donald Trump last weekend and call for him to step aside as the GOP presidential nominee, said in a televised debate Friday night that he might still vote for Trump. He said, “I can tell you this: I cannot and will not vote for Hillary Clinton,” and sharply criticized Clinton, suggesting that if she is elected, “the Constitution itself” could hang in the balance. That central committee is the same one that used party funds two years ago to back a primary challenger to sitting GOP Gov. Butch Otter. Conservative Evan McMullin, who’s been making a strong pitch to Utah Mormons disillusioned with Trump, was speaking in Idaho Falls, Crapo’s hometown, the same evening and had a second Idaho appearance planned Saturday in Rexburg. Both Crapo and Sturgill are members of the Mormon Church, as are 27 percent of Idaho residents. In the two candidates’ half-hour matchup, moderated by “Idaho Reports” co-host Melissa Davlin and broadcast statewide on Idaho Public Television, Sturgill hit Crapo hard over his hefty campaign contributions from financial services interests while serving as a high-ranking member of the Senate Banking Committee, a panel he could chair next year if Republicans hold their majority in the Senate. Sturgill has been critical not only of Crapo’s fundraising but also his 2013 DUI conviction; Idahoans long have known Crapo as a teetotaling, faithful member of the LDS Church. A day earlier, the Idaho Statesman published an article in which Crapo said he hasn’t taken a drink since that incident. On Friday night, he averred that he hasn’t changed his positions during his decades of service in the Senate and House; he’s seeking a fourth Senate term. “My conservative record has stayed solid,” Crapo said. And he noted that he’s also reached across the aisle to work on issues, from reauthorization of the Violence Against Women Act to the Owyhee wilderness to budget balancing. “I do believe that I’ve worked to break that gridlock. … I have a very good record of working to find solutions,” he said. Sturgill said when he first announced his candidacy in April, “People told me it would be impossible to win,” because Crapo already had nearly $5 million amassed in his campaign war chest. “That just doesn’t seem right, that regular people cannot engage in government, serve in government,” because incumbents like Crapo “have money to head off the opposition,” he said. Sturgill is a Boise businessman making his first run for office. Crapo is Idaho’s senior senator; before being elected to the Senate, he served three terms in the U.S. House and four terms in the state Senate. Both men are attorneys and graduates of Brigham Young University. Published: Oct. 14, 2016, 9:09 p.m.